Ever since I was a kid, I dreamed of traveling outside the country. I always thought of what other country looks like. My curiosity was so high that sometimes when I sleep, I dreamed that I am in a different country. My parents had the opportunity to travel abroad, and every time they come home from their trip, they will tell me stories about the country that they've visited. That made me more curious and my desire to venture the unknown-to satisfy my curiosity grew stronger. I really want to have a glimpse on what other country looks like-the food, their culture, the money, how do they buy or do business, and everything. 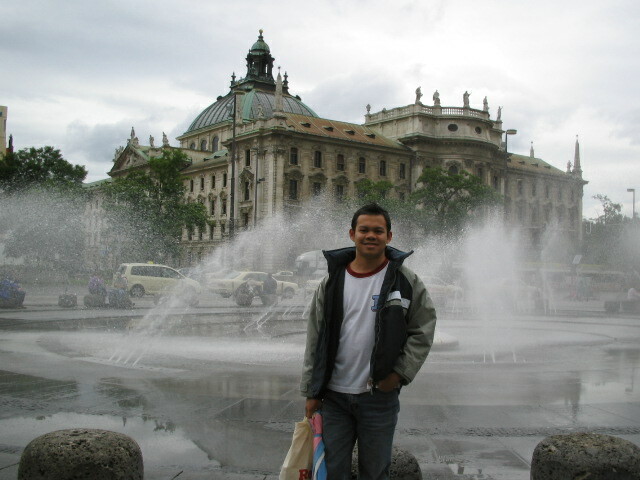 So in 2005, God gave me the opportunity not just to have a glimpse, but to fully experience-not just one country-but many countries-in one the most prestigious continents in the world-Europe! A blessing indeed. In 2005-as what I mentioned in my post about my top ten favorite cities in Europe-I joined one of the most prestigious, the most traveled, and one of the best choirs in the Philippines, the San Beda College Chorale, led by sir Robert Delgado, one of the country's best choral arranger and conductor. 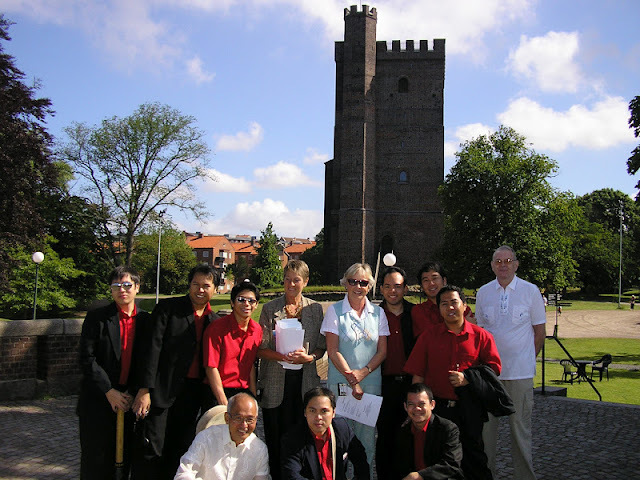 During that time, the choir has a European and Taiwan tour. We were supposed to join Marktoberdorf Choral Competition (one of the most prestigious choral competitions in Europe) in Germany in April, Cornwall All-Male Choral Competition and Festival in UK and Choral Jazz Competition in Germany in May, and then concerts all throughout Europe from June to July-to be concluded with a Cheer Formosa International Choral Festival in Taiwan. That was the original plan. But things didn't went out as planned due to some problems regarding visas. So what happened was, the Marktoberdorf and Corwall were cancelled-but fortunately, the concert tour still continued. So we departed in June 2005 for the choir's 4th European Tour-hence, my first time to be abroad. I was just 21 years old during that time. Before the departure, the choir's name was changed from San Beda College Chorale to San Beda Male Singers, because it is not directly affiliated to the college (San Beda College) anymore. You can imagine how excited I was. It was my first time to to go another country-my dream since I was a child-and not just any country but countries in Europe! We boarded China Airlines on the 4th June 2005 at 4:00pm at NAIA (Manila International Airport). It was also my first time to board a plane, so you can imagine how excited I was. After a 4-hour flight, we landed at Taipei for a layover. My first glimpse and first step in another country. That was really so special for me. After which, we transferred to a bigger plane and had a 15-hour flight from Taipei to our port of entry, Franfurt AM Main. These are our different destinations during our 2005 European tour. These are arranged in-order. Our port of entry. Basically my first taste of Europe. I was so amazed to see their very clean and well organized airport. We took a train from here and departed for our first leg of the tour-Cloppenburg. The train system in Germany is the best in the world. Deutsche Bahn, so they call it. It was so comfortable, so efficient, and so relaxing. That was one of the best rides of my life. Seeing the green landscape of Europe made me speechless. It was so beautiful. I can only see those in movies before, but there I was, witnessed the marvelous, green landscape, clean and peaceful environment of Europe. We departed at around 8am from Frankfurt, and arrived at Cloppenburg at 5pm. This is the most special place in Germany for me because this was my first experience of Europe. Coming from Asia, I really admire the cleanliness of the place. And since it was summer during that time the temperature was just right. At 9pm, the sun is still shining. I enjoyed the view at our host's balcony while sipping a cup of hot chocolate. We had concerts in the churches here. Thank you so much tita Gloria, tante Magda, and tante Marion for hosting us here. After Cloppenburg, we went to Hamburg, my favorite city in Europe. This city is considered to be the home-base of San Beda Male Singers. We just had an overnight stay here because we didn't had a concert in this city during that time. But even at that short period of time, we enjoyed our stay in Hamburg. Our hosts treated us to cafes and restaurants in the city. After our stay there, our hosts brought us to the bus terminal for an overnight trip to Norway. 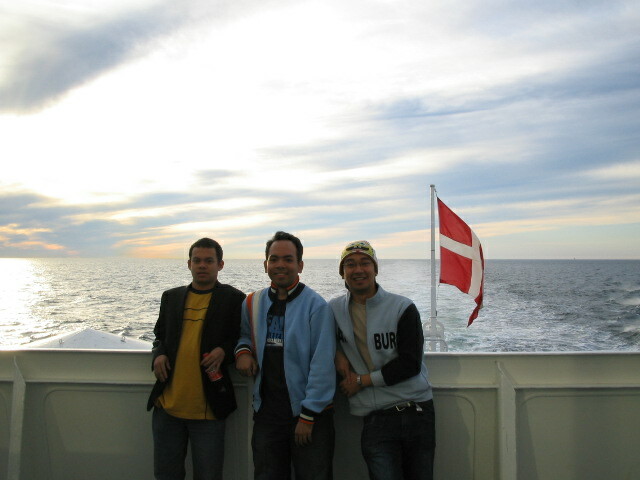 Thanks you so much tito Jun and the rest of the Filipinos who hosted us in Hamburg. After an overnight bus from Hamburg, and some ferry ride, we arrived in Oslo, Norway where immediately took a train going to Trondheim. Along the way, the views are spectacular. Villages, snow-capped mountains, and wonderful forests. We did several performances here including a concert during the Philippine Independence Day celebration. Trondheim is the cleanest and freshest cities that I have been. This is the land of the midnight sun. Even at 11pm, it is still bright outside. We enjoyed the Norwegian meals here, especially waffles. Because of the low-population in this country, it is so quiet and peaceful. The crime rate is almost zero. I will definitely want to go back to this beautiful city someday. Thank you tita Elmie and tito Stig for always hosting us. We stayed in one house here. A house near the church where we had our concert. We also sang in one of the Filipino gatherings in this place. We enjoyed staying in this place because of it's laid-back feel. We relaxed in cafes and hanged out near the river. There is a river flowing through this place where you can unwind and relax specially in the afternoon. We also experienced a carnival that was held here. One of my favorite cities in the world. A very beautiful, charming, clean, elegant, and sophisticated city. We stayed in the house of the Ambassador of the Philippines to Scandinavia, Ms. Victoria Bataclan. Her house was huge and we enjoy the amenities in it, like the sauna. We did lots of concerts here. After our concerts, we usually roamed the city by foot, and went from houses to houses for dinners offered by Filipinos here-a very beautiful city indeed. Thank you so much tita Vicky and the rest of the Filipinos who welcomed us. P.S. The ice cream here is so delicious. A ferry from Stockholm brought us to this very wonderful city-the land of Nokia. The 16-hour ferry ride was a wonderful experience, as we have our own cabins and we enjoyed the beautiful scenery from the deck. We also enjoyed the in-board entertainment. Arriving in Helsinki, I immediately noticed the laid-back feel of the city. The people were friendly, and the nature is superb. Everyone here are so obsessed with Kimi Raikkonen, the fastest F1 driver. Every time he races, they all watch him-just like Pacquiao is to the Philippines. After our performances I enjoyed roaming around the nearby places from my host's house with a mountain bike. It is so peaceful in here. The population is so that you can hardly see a person in some parts of the city. You can easily see wild animals like squirrels and rabbits almost everywhere. I also enjoyed relaxing by the lakes during my free time. And since it is also near the beach, we also had the opportunity to go to the beach and dip in the ice cold waters of Finland. In one of our concerts, our audience were delighted when we sang a Finnish song about squirrels arranged by sir Robert Delgado. Finland, my favorite country in Europe. Kimi, my favorite F1 driver. This experience is indeed unforgettable. Thank you so much tita Linda, tito Juha, and Johanna for the wonderful time. We again boarded a ferry called Regina Baltica from Helsinki. Cruising across the Baltic sea is once a lifetime experience. We used to take ferries in the Philippines before when budget airlines were not yet common, and I really enjoyed it. For me, that's the most relaxing and enjoyable mode of transportation. So boarding this ferry in not just any sea-but the Baltic sea- is so awesome! 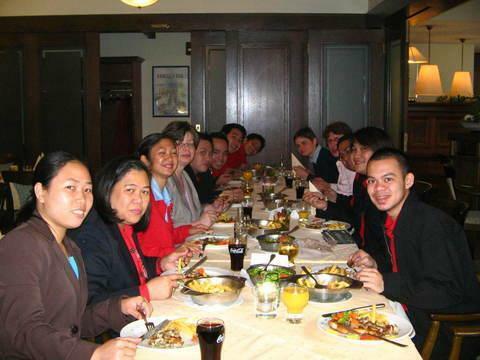 In Tallinn, we stayed in a luxurious 4-star hotel, courtesy of the Estonian government, because we were the one who sang in their signing ceremony with the Philippine government-making us the first Filipino choir to sing in Estonia. Ambassador Victoria Bataclan was the one who invited us to sing. After the signing, we offered a concert in an outdoor hall in the city. Tallinn is a very wonderful experience. We ate in cafes along the streets, and as usual, after eating-we would sing in the cafe or in the streets. People would stop what they are doing and listen intently to our songs. We also visited the Tallinn Old Town, a UNESCO World Heritage Site. Treading the city's streets during the day and at night was a wonderful experience. We were able to fully enjoy and appreciate the culture of this former Soviet Union city. Thank you so much tita Vicky. From the Tallin, we went back to Stockholm where we took a bus going to Helsingborg. In going there we stopped by Copenhagen, Denmark. Although we didn't sleep in this city, a was able to have a glimpse and step on it's streets. We also boarded a ferry here, as part of our overland trip tp Helsingborg. Copenhagen is a typical Scandinavian city. Clean, organized, kinda laid-back, and full of beautiful girls. Helsingborg is a town located in the southern part of Sweden. It is located along the coast. We had several concerts here including the one in a very beautiful, historical small church. All of us stayed in one place, that is in one of the rooms of the church there. And being used to staying separately in different families, with all the privacy and everything-this was quite new to us. Nevertheless, we enjoyed our moment talking to each other. We visited museums, sang in the old castle, went to the beach and simply hanged out in the town center at night. This town indeed is so historical and full of charm. Thank you tito Ed for hosting us. Fuer das Deutsche faterland! Welcome to Berlin! Germany's capital city. What more could you asked for. As for a history fanatic like me, you will really really love this city. I saw the concentration camps, I touched the Berlin wall, I saw the church which was bombed during WW II. T'was a great experience indeed. I stayed in one of the Filipino families there alone. Usually we stayed in our host's house by pairs, but this time, I was assigned to be alone in one family. My host bought me an ride-all-you can ticket for buses and trains for the whole day called tageskarte, for me to explore the city as they were very busy for work. That was one of the most daring and courageous thing I've done when I was 21 y.o. I explored the city alone. My first time to being abroad and there I was, exploring the city alone in which majority of the people cannot speak English and the signs are all in German. I was lost quite a few times, but fortunately was able to find my way back to my host's house. My host also took me fishing in the city's river. Yes, the city's rivers are so clean and full of fish. Thank you so much tito Dodong and family for your hospitality. After Berlin, we proceeded to another German city, Heidelberg. We just stayed here for one night. We had once concert, and then the next day proceeded to another German town called Karlsruhe. This city is the 5th largest city in Braden Wudenberg, and the statue of our national hero can also be found here. We were not able to visit Rizal's statue because of lack of time, but glad we were able to the next year. That can be found in my next post. When we were in this city, the Tour de France passed by- but we weren't able to see it as we weren't aware of it during that time. I, together with 3 of my companions stayed in the house of a Filipino priest. We stayed in a building near the church. His name is father Luis. We had a great time here. He even took us to a nearby French city called Strasbourg. In our performances, we met lots of Filipinos as well as locals. We even met one of Philippine's supermodels by the name of Joyce Pelarsky. Thank you so much father Luis for taking care of us. A day tour to France. Since Karlsruhe is located near France, we traveled to France to visit one of it's beautiful cities, Strasbourg. We visited a very enormous, and beautiful church called Cathedral of Our Lady of Strasbourg (French: Cathédrale Notre-Dame-de-Strasbourg), a Gothic architecture. While beholding the church, we also ate ice cream in nearby cafes and roamed the streets of Strasbourg. Located in the Bavaria, this town was where we relaxed after hectic schedules of concerts, performances, and diplomatic visits to embassies. Our host, tito Rudy fetch us from the bus station. He didn't bring his car during that time, but instead, he let us rode a taxi. It was a wonderful experience. Taxis in Germany are all Mercedes Benz, so it was my desire to experience one, and here I was now riding one of those Benz taxis. The suspension, and handling was superb-a Mercedes Benz indeed. Thank you so much tito Rudy and tita Luz. During our stint in Germany, we needed to process our visa for our Taiwan trip. So, Ivan, our president and I headed to Munich to process our Taiwanese visa. For stayed there for a day. Our host gave us food for our lunch, and while waiting for our visas, we explored Munich-a very artistic and big city. We enjoyed watching different architectures, relaxed in the parks and just simply tried to feel and experience the place. Even if I just experienced it for a day, I can say that Munich is a city worth visiting. When we were in Backnang, we just had one concert, thus we had lots of free time. 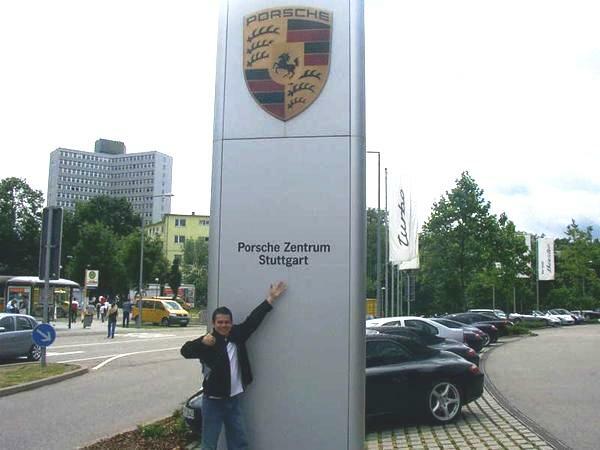 I took that opportunity to request for a visit to the Porsche Museum and factory in Stuttgart. As a car enthusiast and a fan of German cars, going to this kind of places is like going to paradise. My host accompanied me, together with one of our members, to go to this place. This is where they make Porsche. We also went to the museum and witnessed all different kinds of Porsches from the old classic ones to the latest. After almost 2 months in Europe, it was now time for us to go to Taiwan to attend an international choral festival. So on July 15, 2005, we again went to Frankfurt AM Main and boarded China Airlines bound for Taiwan to complete our 2005 tour. Having to experience Europe was one of the best things that happened to me. I experienced a lot of "first times". I was awed, amazed, stunned, surprised, mesmerized by the beauty, elegance, infrastructures, cleanliness, culture, and vegetation of Europe. It was definitely a memorable trip because we just didn't tour Europe and took some photos and slept in impersonal hotels-just like what most tourists do-but instead we were able to immersed ourselves fully to the place. We slept in the houses of locals and expats living there, we ate what the locals are eating, we did what they were doing, and we had ample time to just relax, feel and experience every places that we went to. Our host were also so kind to show and tour us around and let is experience the most delicious foods both in their homes and in restaurants. It was really an experience that I will never forget. 2 months in Europe. It all happened because of God's goodness partnered with sacrifice. (I practiced in San Beda College but I was living in Adventist University of the Philippines). Thank you so much sir Robert Delgado and all of those who hosted us in Europe. Mabuhay kayong lahat!